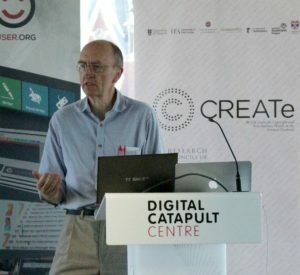 CREATe announced the launch of the Copyright and Innovation Network (CIN) on 26 May 2017 at the Digital Catapult in London with an event exploring, Trends in the Creative Digital Economy: Findings from the CREATe Research Programme. The network aims to be a catalyst for industry-relevant research at the interface of law, technology, social science and the humanities. 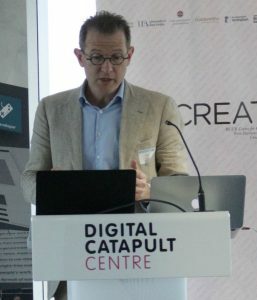 Drawing on key findings from the first phase of CREATe, the presentations explored new questions, in particular in the context of an emerging “platform economy” and the UK’s changing position in Europe and in the World. 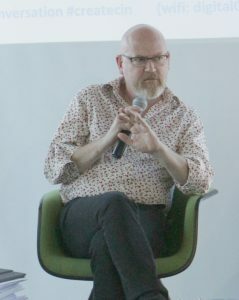 The event was based around short, accessible presentations followed by panel discussions. We encouraged digital innovators to participate and help us to discover: Does industry experience what our research claims is happening? And what follows for the research questions of the future? 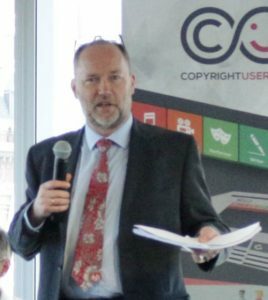 Registered delegates represented a wide range of industry and policy stakeholders, including Arts Council, BFI, BPI, Creative Skillset, DACS, Google, Law Firms (Bird & Bird, Fieldfisher, Kilburn & Strode), Spotify, UK Music and WIPO. What are the big economic trends affecting the industrial organisation of the creative industries? What will be the future of exclusive rights? Overall, the supply of creative content has increased despite concerns about enforcement. Users are not just recipients but are playing a more active role (creating playlists, retweets and user-generated content). Labour markets for some groups of primary creators have become more difficult, notably for journalists and photographers. For many content producers, the basic business model has not changed. In the Baden-Fuller (2016) typology, they still mostly adhere to a product based model though streaming increasingly is becoming a customised service (or “solution” model). Is lobbying for favourable copyright changes, such as new rights, enforcement, intermediary liability, part of a business model? There was disagreement if it was possible to draw a rational boundary for the scope of copyright law, for example relating to downstream uses. Those who spend most on creative content are very young consumers between the ages of 12 and 15 who are also the largest infringers. Increasing awareness about the conditions of creative production and offering more attractive services appear to be more effective than direct enforcement measures, targeting consumers. Platforms (matching multiple social groups) have very different business models than the linear exploitation of traditional cultural production. Increasingly, platforms are moving into finance and (user-led) production of cultural content. In some markets, such as China, creative industries already are becoming a subset of data intensive industries, where the incentives are not for the production of content but for the control of the right kind of data. Philip has worked extensively on studies of media organisations and cultural bodies. He is interested in the role of cultural intermediaries and expertise. The value of comparison: Comparison, not only between regimes and states but also between sectors, should be carried out on a more systematic basis. Regulation: We should explore how regulation copes (or doesn’t) with the vast amount of digital content produced. Regulation is already limited in its effects and questions of cost, practicality and moral and political imperatives need to be factored in. Cultural expertise: How do algorithms and creators inter-relate? There are questions to be asked about how intermediaries operate, both algorithmically and in terms of the way in which people (agents) effect algorithmic choices on the media they and others consume. Creative work: IP becomes important when creators decide it is possible make money, and then invoke IPR because they recognise its pertinence. That’s when investing effort in getting a return becomes the meaningful thing to do. In the drive to think about the creative economy as an object of public policy, this is important because we need look to the conditions under which the vast majority of creatives work, rather than just the ‘winners’. Relationship between democracy and data: There are two key ways in which this has become an imperative. Firstly in relation to corporations and corporate power and secondly in relation to states. Control of data in each context is different but this raises questions about how we function as democracies and about the extent to which regulation can protect us, whether as citizens or as consumers. There are justifiable grounds for worrying about surveillance and its impact on freedom of expression. Also we should be aware of the way in which data is used and targeted and how we may become objects of commercial exploitation. Xiaobai and Robin have been examining copyright and new business models in the cultural industries in China. Social shaping of technology/social learning: Developments are patterned by historical context. Sharp differences remain between China and the West despite attempts to create convergence e.g. through WTO accession. However there are also strong parallels: protracted processes of collective experimentation and ‘learning by doing’ – creating and attracting users to new services. Digital economy firms are intensely focused on user responses. Understand the social shaping of business: Need to address these as dynamic processes due to the limitations of snapshot studies. Researchers and practitioners should avoid drawing conclusions before the ‘facts of the case’ have become established and should avoid premature judgements around particular cases/views. Varied research is required: Our study has provided a snapshot of the emerging ecology of China’s new digital cultural industries: this is only the early stage of an extended evolution process. Further research is needed, both longitudinal studies and multi-level studies and with a range of organisations and sectors. Speaking from the perspective of research and cultural heritage institutions, Ben presented a three pronged personal wish list. Gold Open Access in the UK: Funder-paid publishing where material is available freely. Copyright can be a real barrier to accessing research information and it has a clear economic impact. For example, a Danish study concluded that if a research-intensive company does not have access to the information it needs, it delays the launch of products or services by over two years. At publisher level, Creative Commons material (CC-BY) is not in the majority of publishers’ metadata so how do machines know what UK taxpayers have paid for? 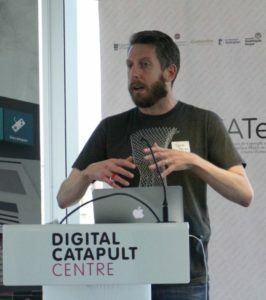 We need to facilitate the discoverability of research that has been paid for by UK tax payer – university repositories are not optimally designed to facilitate this and often contain no or little rights information. We need research to show the state of Gold Open Access in the UK. Economic impact of digitisation: There has been investment in the digitisation of cultural heritage across Europe but very few economic studies looking at the value of digitising public domain, and other, content. Anecdotal research shows its value but economic evidence is needed. Value of education, research and library exceptions: From a policy perspective the world is a bit more complicated than ‘exclusive rights good’ and ‘exceptions bad’. An economic study on the value of these exceptions would be valuable. With a background in media innovation, Kathryn is currently exploring how technology can underpin personalised news content. Research & Development: How can we incentivise creative businesses to undertake and share learning from R&D? Should we change the definition of R&D in order for creative businesses to benefit and commercialise? That includes adapting the definition of R&D for policy purposes including tax relief and funding grants for businesses, plus developing standardised metrics and evaluation frameworks for R&D. Innovating existing technologies: Understanding the landscape around what new content can be created with emerging technologies that underpin creative industries and trying to understand better how small organisations can repurpose content and distribute it in a way that is more time and cost efficient. Commercialising IP: How can we better understand how creative businesses exploit their IP in order to create new revenue models and access new markets? Digital literacy: This is vital, not just of consumers but also stakeholders. How do we get consumers to be better informed about the technologies and organisations that are available to them? How to help people see real life applications of technologies? What’s the hook? : If we want to do more research, there has to be a ‘hook’ for small SMEs and start-ups – usually financial. We need to ensure that when we do research, we include a range of different stakeholders. As creative economy champion, Andrew’s work brings industry and academic research together. Research as driver: The case for the creative economy as an important industrial sector is well understood within government and by policy makers. However, when it comes to the case for research as a driver of that economy; the same people don’t accept that is proven at all. Making the case for research as a driver for the creative economy is something we have to seriously consider and there is a long way to go. Broadening horizons: After nearly 20 years of digital transformation, we should look at the trajectories of different industries – not just music, for example. Other areas have followed different business models and we should try to look with more precision around subsectors and business models. Bring research councils closer to the creative sector: It is key to feed research back to the sector as actual practical research inputs. Research councils have been interested in research in co-creation etc., but the missing piece is research that takes analytics that are actually used by businesses. Looking to the future: Keep on doing what you’re doing. 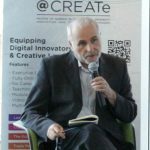 Comparing today’s proceedings to when CREATe was launched, the thoughts are more sophisticated, they raise many issues and question of some of the established truths we find in other places. Martin is an intellectual property lawyer and social scientist who wonders where the new norms governing a platform world will come from. Creative industries are becoming part of data intensive industries: A major technological shift is happening in the creative industries. While production and consumption has become digital since the 1990s, the creative ecosystem is now increasingly organised around platforms that link multiple groups through mobile access and social media. In countries that leapfrogged to mobile technology, such as China, creative content is increasingly financed by the Internet majors. They act no longer as distributors. For example, new consumer-led literary genres have been absorbed into mobile subscriptions, supplemented by micropayments. We need to better understand algorithms: It is in particular the interface between copyright law (the ownership of content) and the governance of algorithms (that may predict the content served) that is not understood. Artificial intelligence relies on large amounts of data, and these come from human activities on platforms that are social and cultural – the traditional domain of the creative industries. Law and national innovation systems: The UK has an opportunity to be at the forefront of these changes. How the law interacts with these technologies and new business models will determine what innovation is possible and acceptable in a platform world, and perhaps what human autonomy means. This presentation by Paul Belleflamme, Professor of Economics at Aix-Marseille Université, briefly reviews the economics of digital goods. It starts with the basic economic problem that information goods face, and explains how copyright addresses this problem. Then, using a simple economic model, it shows the main effects of digitisation on the production and consumption of information goods. Finally, after stressing recent developments, in particular the emergence of streaming, it reflects upon the directions that economic research on information goods should take in the future. Ruth Towse, Professor of Economics of Creative Industries, Bournemouth University, and CREATe Fellow in Cultural Economics, University of Glasgow, was panel chair and her response is downloadable below. 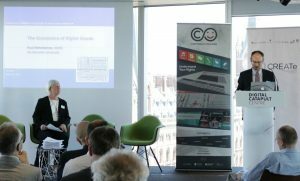 The working paper, downloadable above, was published to coincide with the Launch of the Copyright & Innovation Network. For those involved in the creative industries, the business model is a highly relevant concept that explains the mechanisms by which value is created in the minds of the consumer of creative content, how that value is delivered and how it is monetized for the benefit of the supplier. The Building Better Business Models project, undertaken in conjunction with partners that include Wharton Business School, London School of Economics, CREATe, and EM Grenoble, identifies 4 core business model types: the Product business model, the Solutions business model, the Match-Making business model and the Multisided Business Model. These business model types are explained in the BusinessModelZooTM that can be found at www.businessmodelzoo.com, and can be seen in the BM decision tree downloadable above. In his presentation entitled ‘Reconstructing copyright: A welfare economic approach’, Joost Poort presented some preliminary outcomes of the ‘Reconstructing rights’ project IViR conducted together with CREATe and a group of European Copyright Law Scholars. Joost briefly discussed the evolution of copyright over time and concluded this evolution is hard to reconcile with a welfare economic perspective on copyright. Subsequently, he discussed some present-day cases in which the outcome of such a welfare economic perspective would differ from current copyright law. Much of Erin Simon’s work at Google concerns copyright, and her comments on Poort’s paper came from the context of law and economics. She underlined the value of an economic approach to copyright as an objective and rational way of evaluating whether copyright is serving its goals – or not. She discussed linking and embedding as well as Article 13, in the context of the incentives created by different liability regimes. Further events of this kind in locations across the UK will follow. If you wish to become involved, please contact Dr Sukhpreet Singh, programme leader of CIN. 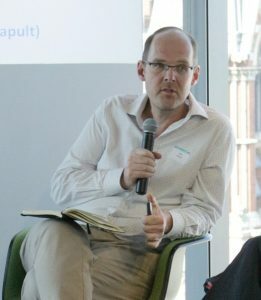 Paul Belleflamme is Professor of Economics at Aix-Marseille Université (on leave from CORE, Université catholique de Louvain), and author of Industrial Organization: Markets and Strategies. His paper The Economics of Digital Goods was published in Review of Economic Research on Copyright Issues, 2016, vol. 13(2), pp. 1-24. The keynote is chaired by Ruth Towse, Professor of Economics of Creative Industries, Bournemouth University, and CREATe Fellow in Cultural Economics, University of Glasgow. 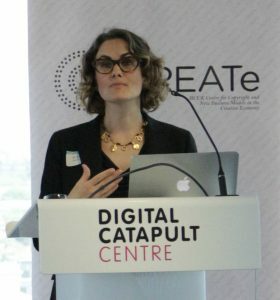 Ruth’s CREATe report A Future for the Creative Economy (2016) reviews recent economic work on culture, media and industrial organization with a focus on the rise of digital platforms and the transformation of supply, demand and finance of creative products in multi-sided markets. The papers argue that, in both publishing and music sectors, digitalisation and disintermediation of support services have made possible an increased potential for the creative agents to self-publish and bypass the traditional publishers and labels. The papers also observe a move towards a more concentrated retail sector, where the large internet platforms dominate the interface with consumers. As regards the artists and consumers, in both industries, the main concern today does not appear to be an inadequate amount of creative output being produced; on the contrary more output is available than ever before. The problem has shifted to one of being found, whether it is the artist hoping to be discovered or the consumer hoping to discover new literature or music. 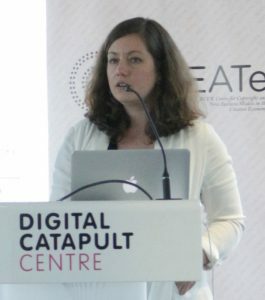 Nicola Searle, a former economist at the UK Intellectual Property Office, now lectures at the Institute for Creative and Cultural Entrepreneurship, Goldsmiths, University of London. 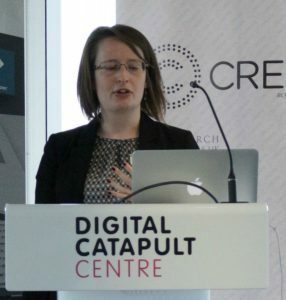 Nicola recently received an EPSRC Digital Economy Fellowship to investigate trade secrets and cyber crime, and is also a member of the EPSRC Digital Economy Strategic Advisory team. 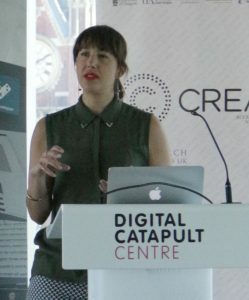 Nicola will present an analytic review of all CREATe projects that investigated business models across many sectors of the creative economy, including music, publishing, film and TV, games, fashion and crafts. Her thought provoking report finds that business models in the UK creative industries remain dominated by the traditional product model (in Baden-Fuller’s typology of product, solution, multi-sided triadic and matchmaker models). Nicola’s report will be published to coincide with this event. The UK review will be contrasted with findings from a CREATe research project on business models emerging in China. What is the shape of the creative industries in a very different institutional environment, characterised by the lack of back catalogue firms, an advanced mobile and micro payment infrastructure, and social media and e-commerce platforms moving into content? 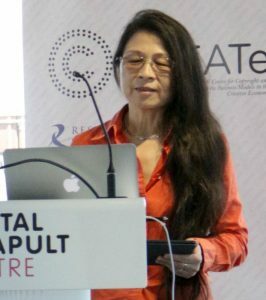 This project will be presented by Dr Xiaobai Shen and Prof. Robin Williams from the Institute for the Study of Science, Technology and Innovation at the University of Edinburgh. The panel discussion will include responses by Dr David Price, Director of Insight and Analysis at IFPI (International Federation of the Phonographic Industry) and Professor Charles Baden-Fuller, Cass Business School, City University, principal investigator of the EPSRC project Building Better Business Models: Capturing the Transformative Potential of the Digital Economy (2014-17). Joost Poort, Associate Professor of economics at the Institute for Information Law (IViR), University of Amsterdam will present findings from a joint project between IViR and CREATe (supported by a grant from Microsoft). Joost’s talk will start with a brief historical overview how the exclusive rights of reproduction (book printing) and communication to the public (theatre performance) evolved. If the scope of protection follows exploitation and technology models, how can we connect these rights to changing (digital) exploitation? The analysis will focus on borderline cases, such as Linking & embedding; Private copying; Retransmission; Text & data mining; User generated content & remix; Resale (Exhaustion); Access control & geoblocking; Intermediary liability. What activities need to be excluded for copyright to fulfil its function? And how does this lead us to a more coherent formulation for the appropriate scope of exclusive rights? Panellists will include Dr Sabine Jacques, University of East Anglia (who will draw on a new empirical study on the effects of YouTube’s Content ID technology on cultural diversity) and Erin Simon, Product Counsel, Google (Paris). This panel introduces the new Copyright and Innovation Network (CIN), and seeks to explore avenues for future research that follow from the findings of the CREATe programme. 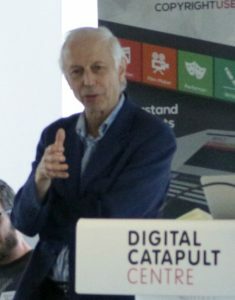 Contributors will include Prof. Andrew Chitty, AHRC Creative Economy Champion, Royal Holloway, Kathryn Geels, Engagement and Research Manager, Digital Catapult, Jeremy Silver, CEO Digital Catapult, Prof. Philip Schlesinger, University of Glasgow (Deputy Director of CREATe), and Ben White, Head of Intellectual Property at the British Library.